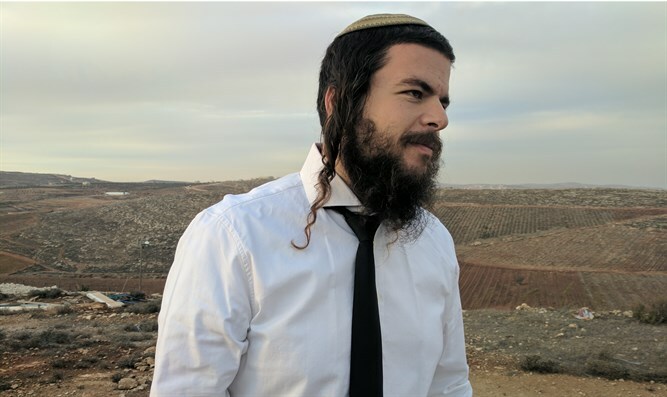 Lev Ha'olam attorney says BDS chants 'From the river to the sea' reveal boycott movement's ultimate goal of destroying Israel. Attorney Nati Rom, founder of the "Lev Ha'olam" organization responded to the recent string of "Israel Apartheid Week" events, discussing the Mayor of Dublin's participation in an anti-Israel event, the BDS movement, and the growth of anti-Semitism worldwide. "Anti-Semitism has not disappeared - it has simply taken new form in terms of hatred of Israel,” Rom said, responding to a visit by Dublin's mayor to the Palestinian Authority city of Ramallah. "Sometimes attackers of Israel clothe themselves in the language of human rights and concern for the Palestinians, yet their goal is always the same: to harm the Jewish people." In Ramallah, the mayor visited Yasser Arafat’s grave and took part in a conference remembering Haj Amin al-Husseini, who incited Arabs to murder Jews and cooperated with the Nazis during World War II. Rom slammed Israeli border control authorities over the approval granted this week for the Dublin mayor to enter Israel, apparently given by accident due to a spelling error, saying that authorities had brought a fifth column into the country. He also noted that Dublin's mayor took another step against Israel this week when he acceded to the demands of BDS activists to boycott Hewlett Packard, due to the company’s cooperation with Israel. Rom also highlighted several other events this week involving hatred towards Israel. One of those is "Israel Apartheid Week," an annual week-long event on college campuses organized by BDS supporters to attack Israel. "The students supporting BDS chant 'From the river to the sea, Palestine will be free,' which shows their clear goal of destroying Israel," Rom explained. "We must say clearly to the world: Never again! The most important way to do so today is to fight against the latest incarnation of anti-Semitism: the BDS movement, which through boycotts and de-legitimization seeks to destroy Israel. It is our obligation to fight the boycott and expose the hypocrisy of this movement. We will defeat their efforts by increasing our purchases of Israeli products and by supporting local producers," Rom concluded.